When I moved, all of a sudden the nearest coffee went from 2 minutes away to 20 minutes away. Popping out to a cafe became more of a journey than a quick stop, which meant I had to find some alternatives for getting my afternoon pick-me-ups. Before, I would head out and get one of those nice blended drinks, with chocolate chips and ice, topped with whipped cream. Of course, that little treat would come at a cost. 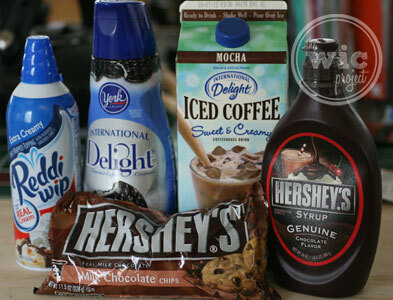 What I discovered, was that for the price of one of my fancy coffee shop drinks, I could purchase a half gallon of International Delight Iced Coffee and an International Delight Coffee Creamer at my local Walmart and make my own delicious drink. Not only would the cost of the ingredients be cheaper, but I could make more than one iced beverage without leaving the house! At first I was a little worried. When I got to the dairy section at Walmart, they were almost completely out of International Delight Iced Coffee and International Delight Coffee Creamer. I was relieved to see that they still had a York Peppermint Patty Coffee Creamer still available. Then I turned around and BAM! – an entire fridge filled with ID Iced Coffee, the main ingredient for my gourmet iced coffee creation – Grasshopper Iced Mocha. A refreshing drink for a hot day. 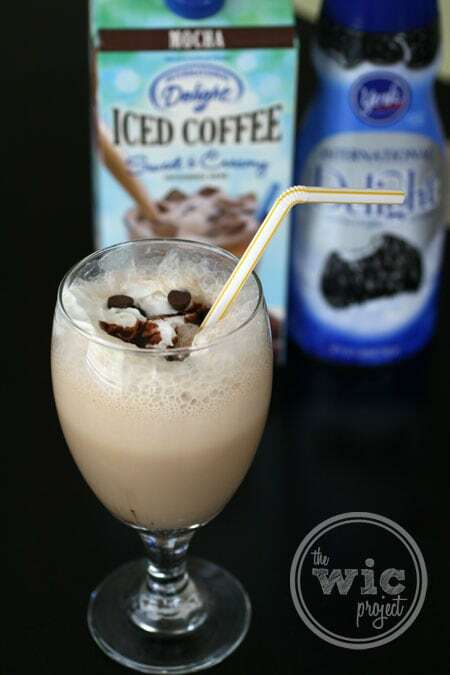 Add International Delight Iced Mocha, International Delight York Peppermint Patty Creamer, ice, and chocolate chips into a blender, and blend. 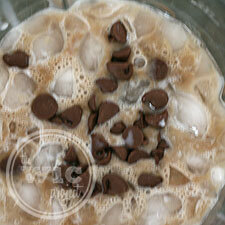 The chocolate chips blend up easier if they are chilled or frozen. Otherwise they might just clump together at the bottom of the blender. Alternately, you can chop them up and add them to the mix. One of the things I love about this recipe is the mint flavor from the creamer. It’s a great way to add that little extra bit of freshness to your homemade iced coffee. I find myself blending up this tasty beverage almost daily as a morning or evening treat. It’s perfect for sitting on the deck or patio and relaxing to help you recharge. You can even serve the Grasshopper Iced Mocha as part of an outdoor party! You don’t have to crush the ice, you can simply pour everything over ice in a pitcher. Instead of blending in the chocolate chips, you can just sprinkle a few on top. 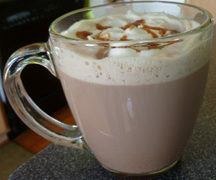 It can also be customized by adding more or less creamer and chocolate syrup. If you decided to blend yourself a Grasshopper Iced Mocha to help you cool off while you’re enjoying the great outdoors, let me know what you think! Oh, this looks so yummy!! Oh, this sounds and looks so good. But if I had this every day I’d definitely get fat. I’ll have to save it for a once a week extra special treat !! yummmmm.love the minty idea…cool and creamy I bet. TY for sharing such a great recipe and hit abt the choc chips!!! I could not rate for some reason!!! This sounds to die for. What a tasty treat! And you can make it at home. Awesome. Oh, how scrumptious this sounds! and loaded with calories lol. Love this with the chocolate chips. I watched Paula Dean freeze her leftover coffee in ice trays. When wanting a frozen coffee drink she added a hot chocolate pkg, some cream, or low-fat milk and blended to make a mocha freeze. I use good coffee I buy from my local Dutchbros coffee shop. It taste just like a brain freeze that cost about $3.50 and so good. I am going to try this Grasshopper too love mint! Haha! 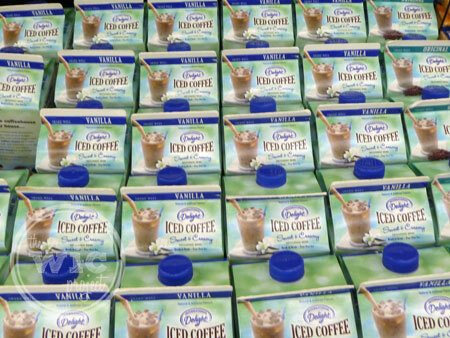 Grocery stores need to put “International Delight Iced Coffee this way…” with an arrow to let us know where they’re hiding it! that looks as good as it sounds! Looks like a really refreshing drink. Seeing this recipe makes me want to like coffee! I don’t like the taste of it, but I may just have to try this. Looks so delicious!! I was exactly the same! Once I discovered adding in syrups and creamers, coffee became much better for me! I think this is a great “starter” coffee drink – not too coffee flavored and still has some yummy flavors. This sounds delicious. I am going to have to figure out how to make it weight watchers-friendly. love the recipe, would taste good frozen or as a frappe. i might have to make this one morning. Wow well this recipe sounds perfect to celebrate today! Chocolate and mint is my favorite combination. This looks very good. yummy I will have to try this! I am going to have to try this. It sounds SO good! I love minty and I love coffee. Perfect match. That sounds amazing…. must try!!! 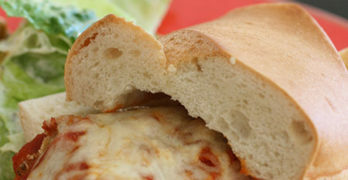 Omg there’s so many recipes for international delight and they all sound wounderful..This looks so good! That looks great. I wonder if it will be tricky to make it into a “skinny” coffee treat. that little bit of mint flavor sounds amazing, and I think it would be great for a party !!!! just a little different that makes it special, but not wierd!